Hopwater® is a highly concentrated water additive without any fats, calories, or sodium. Due to the concentration levels and the antiseptic nature of hops we avoid having to use preservatives or stabilizers. Therefore, Hopwater® does not contain potassium sorbate or any preservatives. All Hopwaters® are corn and peanut derivative free. Hopwaters® are also gluten-free and vegan friendly (no animal products of any kind). Hopwater® is easy to use and can be added to any beverage, especially water, to give a refreshing, unique hop profile. Cheers! Are you the distributors of Hopwater®? No. We are the sole manufacturers of Hopwater®. When you purchase from this website then you are buying directly from the manufacturer without any distributor charges added to the price. 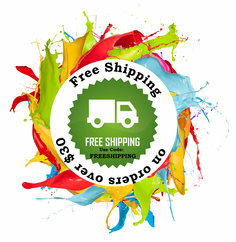 Shipping is free for all orders over $30 (Use Code: FREESHIPPING). Is Hopwater® regulated by the FDA? As a historical food constituent, hops has “generally recognized as safe” (GRAS) status by the FDA. Hops are considered a "new dietary ingredient" by the Dietary Supplement Health and Education Act (DSHEA) of 1994. The "new dietary ingredient" is a component of dietary supplement that includes "an herb or other botanical". Under DSHEA, a firm is responsible for determining that the dietary supplements it manufactures or distributes are safe and that any representations or claims made about them are substantiated by adequate evidence to show that they are not false or misleading. This means that dietary supplements do not need approval from FDA before they are marketed. The statements, videos, pictures or other media on the hopwater.com website have not been evaluated by the FDA. Hopwater® is not intended to diagnose, treat, cure, or prevent any disease. We at Hopwater strongly suggest you talk to your healthcare provider before taking any product, including Hopwater®, for any condition or disease. Because we want everyone to have the opportunity to try our unique, beneficial product, we offer a risk-free, 15-day money-back guarantee. If for some reason you are not entirely satisfied with the products, simply return the product for a 100% refund. Please see Hopwater’s Return Policy for more details. How many standard (16.9 fl. oz) water bottles do you get from one bottle of Hopwater®? It will be different for everybody depending on how many dropperfuls you add to your water bottle. If you use the average dosage amount of three (3) dropperfuls you will get around 12 standard bottles worth. Some have said the average dose of three dropperfuls is too strong for them so in this case you would get more than 12 standard water bottles. It all depends on your taste and what suits you best. So experiment and find your perfect dose! What is the expiration date or shelf life of Hopwater®? Hopwater® has a shelf life at room temperature of one year. Refrigeration of your Hopwater® will prolong the shelf life beyond one year. Is Hopwater® an alcoholic water additive? Hopwater® contains no alcohol. It is alcohol free, sugar free, calorie free, gluten-free, diacetyl (gives a buttery taste) free, and manufactured in an allergen free facility. Why not drink non-alcoholic beer instead? Hopwater® is for all ages and all people. As current research reveals the efficacy of herbal remedies to treat certain disorders and specifically that hops have been indicated for nervous tension, excitability, restlessness, and irritability we wanted to provide Hopwater® to all age groups (Note: hops are fast acting and calm and improve mood, but should not be used in depression). Hopwater® provides a refreshing, revitalizing refreshment appropriate for all ages. Unlike “non-alcoholic” beer (that contain anywhere from 0.1% to 1.0% alcohol by volume) Hopwater® contains absolutely no alcohol. Hopwater™ also has the advantage of supplying your body with the necessary daily intake of water. How much caffeine do the Delta G brands contain? The Delta G brands contain approximately 16 mg of caffeine per dropperfuls. This translates (assuming an average dosage of 3 dropperfuls) to approximately 2.96 mg/oz. of caffeine in a standard 16.9 fl. oz. water bottle. As a point of comparison a 12 ounce can of Coke Zero contains approximately 2.83 mg caffeine/oz. More or less caffeine to suit your preference is an advantage of the Delta G dropperfuls system. What does the Delta G mean? In the world of chemistry there is a term called delta G (ΔG). It is defined as the change in "free energy" and is commonly referred to Gibbs Free Energy, named after Josiah Gibbs (1839-1903), a professor at Yale. The basic understanding of Gibbs free energy would be the free energy to do work. Hence Delta G brands are Hopwaters® with a caffeine kick. It gives you the free energy to do work. I tried three drops but didn’t notice a taste? The key is to use dropperfuls and not drops. Be sure to squeeze the eyedropper bulb fully to get a dropperful. How do I know how many dropperfuls to add? This answer is different from person to person. It really depends on what you like. A good starting point is 3-5 dropperfuls per 16.9 fl. oz. water bottle. Some find 3 dropperfuls too powerful initially but over time have graduated to 3-4 dropperfuls to their water bottle. Hopwater® is extremely concentrated so a little goes a long way and will be different for everybody. Does Hopwater® have to be only added to bottled water? Absolutely not! It is very refreshing, revitalizing and flavorful in water but you have the option to add Hopwater® to whatever beverage you desire. Dedicated “Hopheads” , the people who love IPA and very hoppy beers, have been known to buy the cheaper, tasteless beer and squeeze dropperfuls of Hopwater® to yield a low-cost, highly hopped beer. Use your imagination when using Hopwater®! Are the refills the same as what comes in the amber glass bottles? Exactly the same ingredients just without the amber glass bottle and higher price. We ship our refills in black, FDA approved, sealed bags. The easiest way to use the refills are to tilt the bag to one side, cut a small corner off the other side and pour the contents into your amber glass eyedropper bottle. Or use a funnel if you have one handy. Why are the bottles amber and the refill bags black? Hopwater® uses 1 ounce (30 ml) glass amber eyedropper bottles and black refill bags to protect the hops from the damaging sunlight (Hops exposed to sunlight give a skunky taste). What do you use to sweeten Hopwater®? We use sucralose. People often say that sucralose truly tastes like sugar and that makes perfect sense. Sucralose tastes like sugar because it comes from sugar. The sucralose we use has zero calories, zero glycemic impact, zero aftertaste, and zero worries. Do you have any Hopwater® without the sucralose? sales@hopwater.com or 1-844-446-7928 (Toll free) and let us know what you would like. What payment methods can I use to buy Hopwater®?